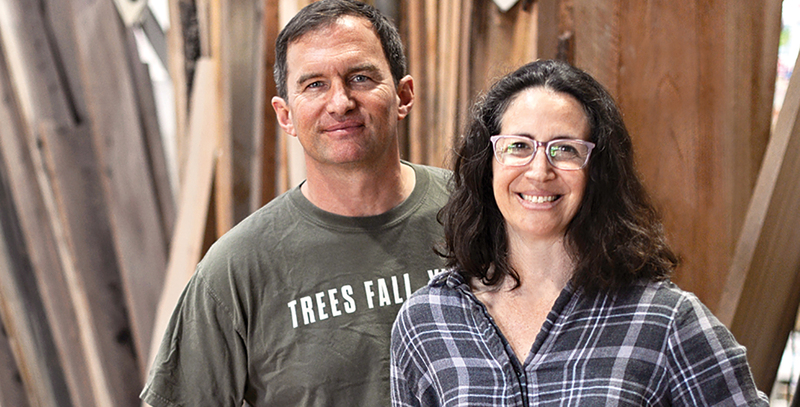 Once “Trees Fall, Y’all,” the dynamic duo of Cliff and Leigh Spencer get to work. 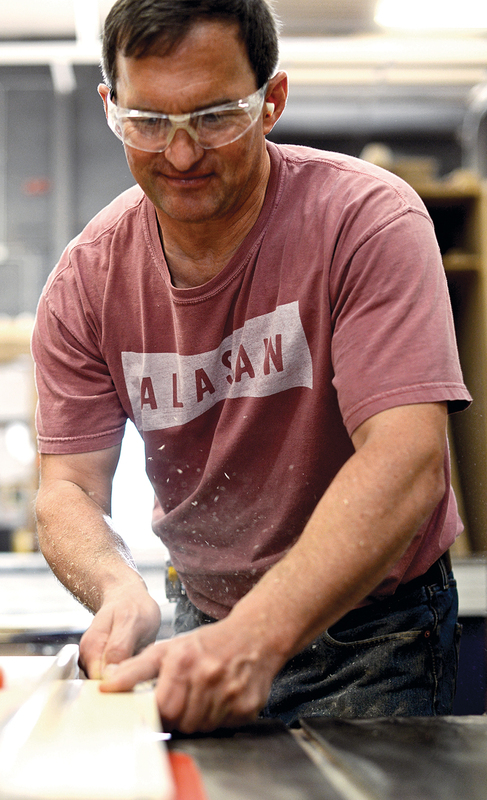 Cliff opened his own furniture (and later cabinetry) shop in L.A. in 2004, after a stint working in Aspen. That stint flavored Cliff’s business with a signature thing it’s been known for ever since. “In Colorado, I started to find unique sources for wood, people with their own sawmills who would mill their property or other people’s property. Interesting, unique material. 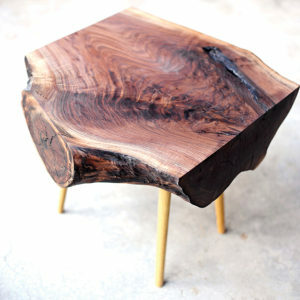 Interesting, unique wood—urban timber.” And something else happened, too: Leigh officially joined the business. A graphic designer by day, she had been helping out with the books, marketing, and PR at night. At the end of 2008, she left her job to work with Cliff full time, and they built the business back from the recession. In 2014, Cliff spoke at Design Week Birmingham and essentially outlined the milling part of Alasaw—as an idea for someone (else) to do. Alabama has the second-largest urban forest in the country, and the reception his talk received demonstrated opportunity and interest here. He’d been wanting for years to be closer to his family, and he and Leigh knew business in California was expanding—which would mean a long commute for a big enough work and storage space. Two years later, after a year of set up and Cliff traveling back and forth, he, Leigh, and their kids made the successful leap to Birmingham. Alabama Sawyer took up residence at MAKEbhm, a coworking makerspace in Avondale, and hasn’t looked back. Today, in Homewood alone, Alabama Sawyer handiwork graces Big Spoon Creamery (pecan, naturally, to tie into ice cream), Creative Montessori signage and play structures, and quite a few neighborhood homes. The business has grown and keeps growing, but this time, the Spencers are staying in Birmingham.